It’s a bit out of the ordinary to see one of these complainants outright say that they know that the program being on cable is a factor in what the FCC can do, but this person didn’t care, anyway. Wait, what? 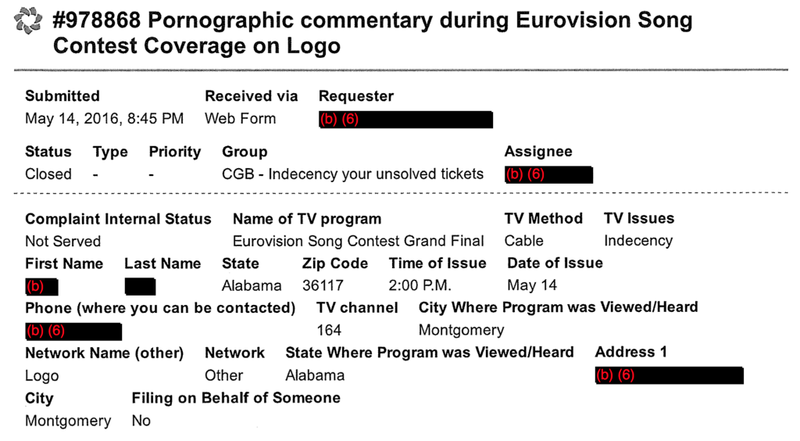 Someone in Alabama not only held a large Eurovision viewing party, but the partygoers at an event celebrating something so kitschy were offended by discussion of “lesbian, gay, and bisexuality,” as well? Really? Huh. Thankfully, other than one dealing with the lack of closed captioning on Logo’s website, that was about the extent of the complaints. 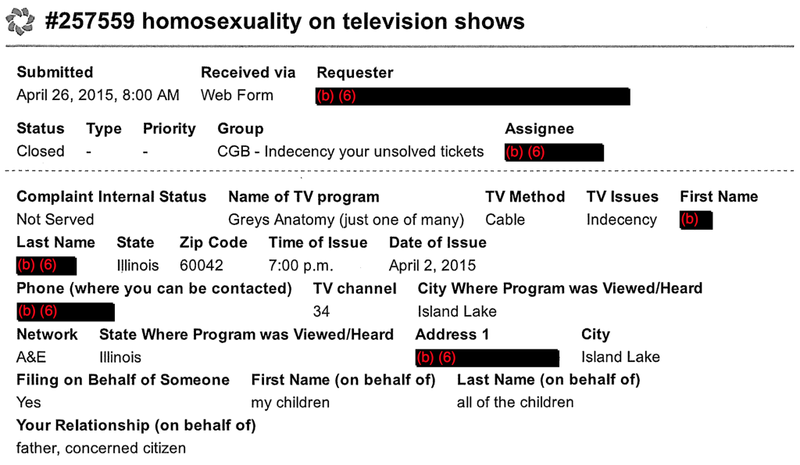 Maybe America’s overly panicky letter-writing contingent is more tolerant than you would think.